AI (Artificial Intelligence) and machine learning have become a hot potato in the corporate world. As a futuristic technology, artificial intelligence is capable of bringing disruptive changes in our lives more than any other technologies. This is because AI touches every aspect of our life and can take part in every activity. Today, we witness that machines are getting better at learning and smarter at work. They can process, share, and analyze information like humans. As a result, machines have taken over many odd jobs that are otherwise performed by human beings. Self-driving cars, robotic limbs, and machine-operated elderly care instrument have no longer remained new to us. As the technology advances, machines have started interacted with us in a better and more efficient way than ever. Technological advancements and intelligent machines are all set to become an integral part of our daily life. Both AI and ML (Machine Learning) can revolutionize the digital world. In other words, AI has a significant role to play in using and interpreting the database and online processes based on data analysis. Voice search is an epitome of what AI can do for us. From building websites to creating content, from serving the customers to responding to their queries- AI can serve many purposes on the Internet. Naturally, the CMS (Content Management System) is also no exception. As one of the most versatile and customizable platforms, WordPress has also started adopting the AI technology. A few WordPress plugins are now available that are driven by Artificial Intelligence. It seems that the future versions of WordPress will be based on AI. Let us have a sneak peek of what AI brings for the Internet and WordPress. Just keep reading to know! 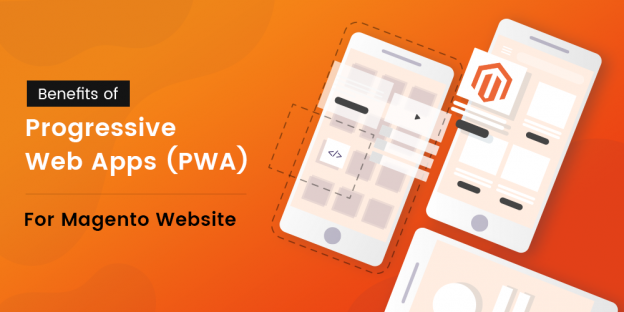 How AI will change the face of Web Design and Development? Today’s websites are intuitive and innovative to offer a pleasant interactive experience to the visitors. Artificial Intelligence technology is integrated to facilitate human-like interaction in the business websites and eCommerce sites. Surprisingly, a few technology companies work on developing AI algorithms that can build the entire websites. The most important examples are Wix ADI and Firedrop. It means that today, AI is partly used in the web design and development, but tomorrow, it can create the whole website. An AI assistant takes the driver seat and helps users determine the type of websites. Then it can either take autonomous decisions on various design and development aspects like branding, content, and layout by itself. In the case of Firedrop, the AI assistant acts as a real-life web designer and enable the users to complete the development process with real-time suggestions. In other words, AI works as a virtual assistant for the users and helps them create a unique website. What’s more, the AI technology has also entered into the field of graphic design as the users can utilize this technology for a few parts of web design. The AI-driven web development platforms are still in the nascent stage with limited capabilities. They can not build a robust website with desired features yet. But we can certainly expect that AI will build complex enterprise websites in the future as we have taken the first step in this direction. 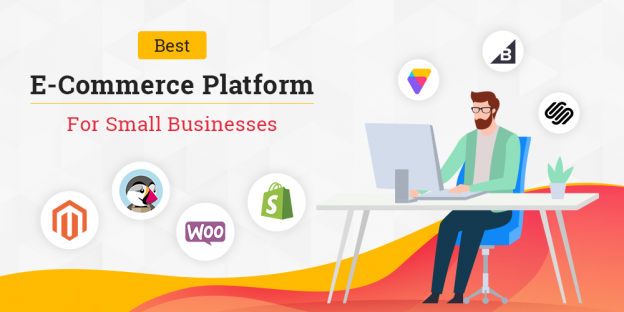 Talking about the WordPress, we can predict that it would be the first platform and CMS on which the AI technology will handle the entire development process with ease. We have a strong reason behind this forecast: AI-powered plugins are already available for WordPress. No other CMS has such ‘intelligent’ plugins to date. Also, we will see the WordPress themes powered by AI. These days, WordPress web development companies put their efforts into making the themes smarter than before. When it comes to user analysis and data process, AI is simply the best! It can help web owners offer the best possible experience to the visitors by analyzing their intent. Just like personalized ads and search results, we will see the personalized website experience soon. In brief, the visitors will see the images and information as per their online behavior on the websites built by Artificial Intelligence. 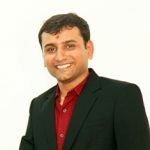 How AI brings changes in E-Commerce Domain? Thriving eCommerce domain offers a lot of scope to AI and machine learning. As a customer-centric platform, eCommerce needs a continuous analysis of people’s shopping behavior and the user’s data to serve them in a better way. Amid growing competition, retailers count on AI and machine learning to stay ahead of the curve. As per a Business Insider survey, almost 72 percent of retailers plan to invest in cognitive computing or machine learning by 2021. It means that a lot of money will be invested in AI in the coming years. The secret of success in the eCommerce business remains in understanding and serving the customers better with a more personalized experience. 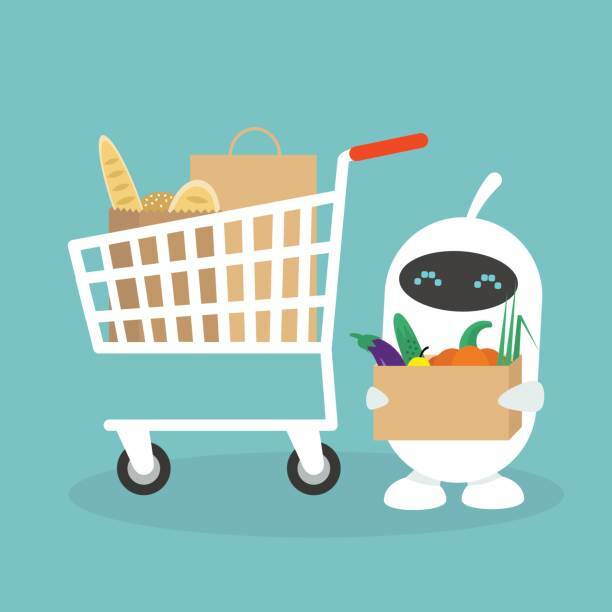 AI-based virtual shopping assistants can readily recommend similar and complementary products as per the customer’s shopping behavior. How about offering compliments to your customers through machines? AI and ML can do so for you. A survey says that personalization can increase the sales by two to three times. Do you know that WooCommerce, an eCommerce tool for WordPress, has an AI-powered, intelligent plugin? The advent of chatbot and advancements of voice search have strengthened the AI’s presence in the digital space. Companies are working on providing virtual customer service agents to bring automation in the ordering and purchase process. Chatbots can play a significant role in this service. Apart from social platforms, chatbots or simply bots exist on WordPress as well. These tiny robots can learn from interactions and add answers to their libraries accordingly. The eCommerce retailers can provide the in-store experience to their customers online with the help of complex bots. Highly popular eCommerce platform Magento is ready to integrate AI and machine learning through the help of customized extensions. AI will enable the retailers to save both time and money by providing automated customer services in the near future. Isn’t it interesting that your customers will talk to your websites like they do to their home appliance? As AI technology gets matured and comes into the mainstream, the possibilities will also get bigger. We can also expect that the chatbots or robots will talk to people in different languages thanks to the language processing. How Artificial Intelligence Will Influence Content Marketing? Spell check, grammar-related and article-spinning software are a few of the most common examples of AI’s penetration in the domain of online writing. Today, we have applications to proofread and generate the titles. Days are not far when the robot will replace the professional writers. What does it take to create compelling content? Well, reading and compiling a plethora of information in a proper order with a human touch is the answer to this question. Now, machines can handle the extensive research work with ease. Initiating from making the writer’s job easier, AI looks ready to do their job! Chances are bright that you will read the content written by a robot in the future. If we think of such intelligent software in WordPress, immediately After the Deadline comes in our mind. This language checker tool is included in the Jetpack plugin and takes care of three major writing aspects: spell check, style check, and grammar check. There is no exaggeration in mentioning that AI will touch every aspect of the Internet like it does of our lives. Thanks to AI and machine learning, we would enter in the new age where machines will give us suggestions and enhance our convenience in almost all routine activities. Every coin has two sides. Though AI is good at analyzing loads of data and bringing automation, it has limitations in taking creative decisions and finding subjective factors like emotional effect. 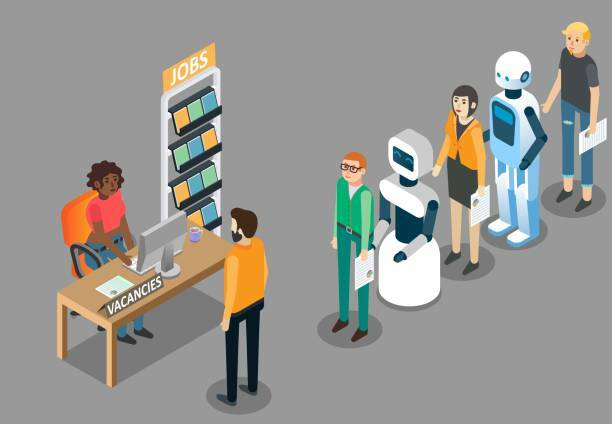 Creative professionals can take a sigh of relief because of such limitations but, entry-level workers may find it hard to keep their jobs when AI will be used in a full swing. We can put it like this: Repetitive and lower-level jobs can be lost to AI in the future. Artificial Intelligence and Machine Learning are progressing slowly but steadily toward improving our lifestyle by adding comfort. From ‘intelligent’ home appliances to ‘smart’ voice assistant, AI is ready to handle all sorts of complex activities. In a way, it can bring drastic changes in our lives. As the technology is supported by the Internet, the web, eCommerce, and mobile app development domains will be impacted by AI. Days are not far when AI will build an entire business website. Altogether, leading CMS like WordPress and top-notch eCommerce platform like Magento will be impacted by AI in the future. It is interesting to see how AI will transform the web development and content creation in the future. We would love to hear your thoughts. Share your views about AI’s impact in the comment box below. At Solwin Infotech, we just love to integrate the cutting-edge technologies in our development processes. Thanks to the technological advancements and our dedicated developers’ focused approach, we have developed high-end Magento 2 extensions and advanced WordPress plugins to take your business to the next level. We are known for offering the best-in-class web and eCommerce development services in a cost-effective way to the global clientele. If you want to give your business a boost from thriving technology domain, just contact us with your requirements and leave the development part on us! Guter Beitrag! Das Thema ist zurzeit sehr aktuell und wird es evtl. künftig bleiben. Thanks for the great article, really its very useful for understanding the process of technologies. Very shortly this web site will be famous among all blogging visitors, due to its good articles or reviews. Very nice post. I just stumbled upon your weblog and wanted to say that I’ve truly enjoyed browsing your blog posts. After all, I will be subscribing to your feed and I hope you write again soon! What’s up to every body, it’s my first go to see of this web site; this blog includes remarkable and truly good material in favor of readers. Machines do not require frequent breaks and refreshments for humans. As machines are programmed for long hours. Also, they can continuously perform without getting bored. Great article…..thanks for providing this blog on artificial intelligence. Great topic. Thank you for magnificent info I was searching for this info for my mission.